Whoa whoa whoa! I know this sounds crazy, right?! Who would ever stop using their beauty blender?! If you told me this a year ago I wouldn't have believed you because every time I used any kind of foundation brush it made my face look streaky. But whenever I used a beauty blender everything would be blended out smoothly which was why I refused to start using foundation brush, ever. 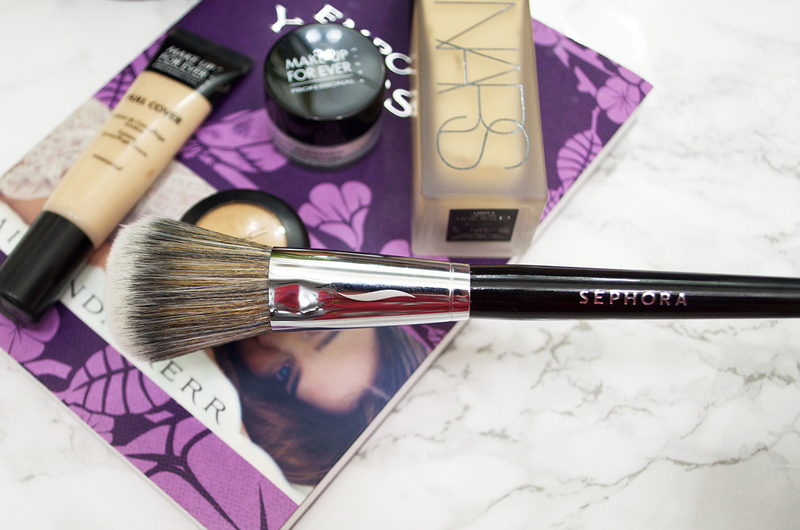 Whenever I was at Sephora I would look at the brushes and I thought that the Pro Airbrush #55 was really interesting because it looked like it was meant for powders but when I read reviews and saw a tutorial from Sephora with this brush I found out it could be used for liquid foundations. I was hesitant to try it out at first because it was $34 and that is really expensive. Of course I had to think about the pros and cons of "What if I don't like this blush for my foundation? ", well I decided that if I didn't like the brush for foundation then I could use it for setting my face with translucent powder or even using it as a blush brush. I got this during the VIB Rouge sale so there was 20% which made my decision even easier, and let me say this....I don't regret purchasing this brush at all. It soaks up less product than my beauty blender and I only use one pump of foundation. One pump of foundation that gives me the same coverage as it does with the beauty blender which is crazy. I guess the beauty blender soaks up more products because it is a sponge after all. Even though I love this brush I don't think I'll be throwing out my beauty blender any time soon. I like using my beauty blender for other things like cream contour and applying concealer which is something this brush can't really do. But if you're someone whose looking to replace their beauty blender then you should definitely get this brush, it's great for foundation and really does give an airbrush finish. 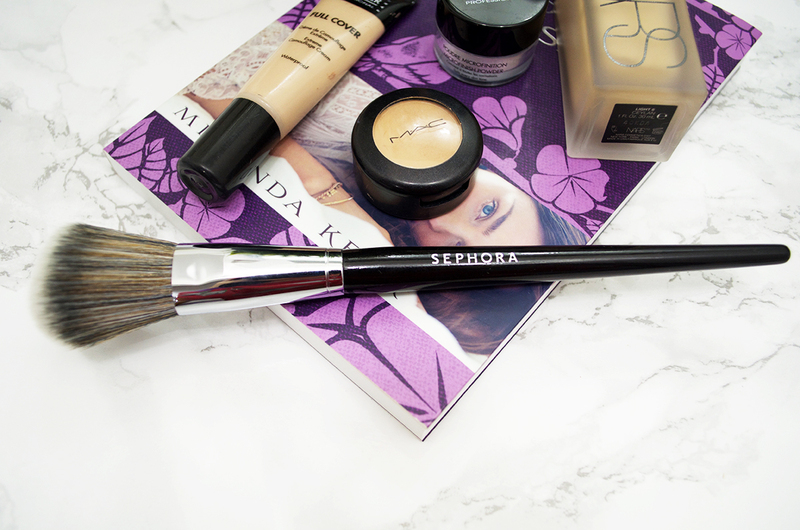 Have you tried any of the Sephora brushes before?